About UNICEF UNICEF is an agency of the United Nations devoted to serving the world’s children. UNICEF began providing assistance to the Philippines in November 1948. Since then, they have been partners with the Philippine government in protecting Filipino children. UNICEF Philippines has more than 60 people working to promote and protect the rights of children. They aim to provide the best quality of life for every Filipino child through programmes that help them survive and flourish. Beauty, Brains & Breastfeeding was established and registered at SEC in 2006. 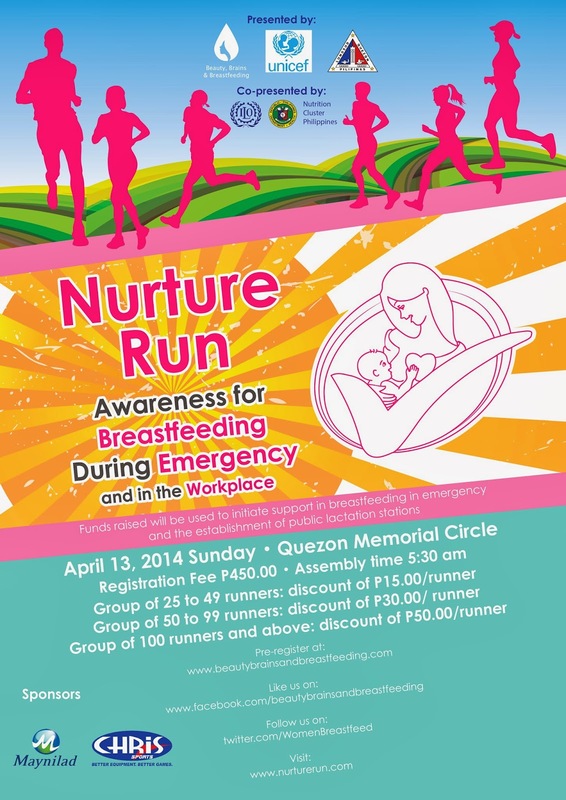 It aims to bring back the breastfeeding culture in the country and elevate the stature of breastfeeding and eradicate the misconception that breastfeeding is only for those who can’t afford formula milk. In recent years, BBB has not only participated in the promotion of breastfeeding. We have also taken part giving support to mothers. Providing free breastfeeding counseling at evacuation areas and informal settlers vulnerable of displacements in times of calamities BBB is also an active lobbyist when it comes to the protection and implementation of legislations promoting breastfeeding. 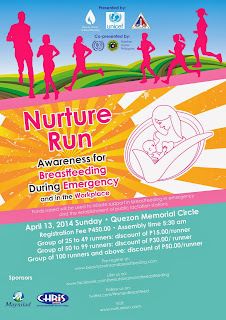 Nurture Run is moved on May 18, 2014.